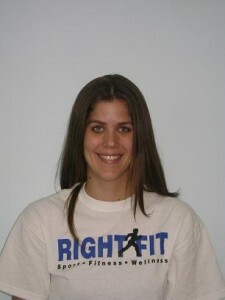 I want to share Mandy Schellinger’s experience; she’s an Elmhurst college student. I had a good experience working at the Right-Fit Sports Fitness Wellness booth at the AutismOne Conference. I was amazed by the distances that people traveled to attend this conference. I did not get the chance to hear any of the speakers, but from working at our booth I enjoyed listening to the different stories of the people who walked by. Many of the parents who had children with autism were excited to learn about what Right Fit had to offer people of all ages. The parents who were not local expressed their excitement as well, and wished that their community offered such programs. Many parents shared personal stories about their children who have such a need for movement and exercise, but have limited resources to have an effective outlet of their energy. I think that the Autism One Conference, as well as other conferences like it, are good sources of information for parents who have children with autism. I think that some of the parents were overwhelmed by the amount of information that they were presented with, but it is good to be exposed to different approaches to treating autism. I did get rather tired of hearing the booth beside me talk about their “antioxidant water” like it was some miracle drug that would cure all problems. It sounded a little TOO good to be true, but parents seemed to swarm to the booth all day long. However, there was a broad range of alternative and conservative approaches to treating autism. 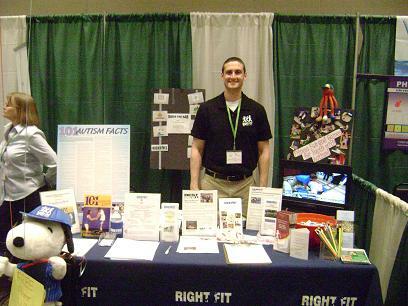 The Autism One Conference benefited from having Right Fit there last weekend. Many parents wrote down their contact information, and quite a few of them were local and excited to come in for an assessment. It is important for us at Right Fit to continue to spread the word that children with autism need exercise, and that we can help them be physically active in a fun way through games and activities.